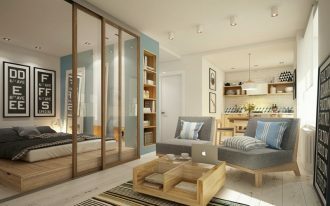 An apartment with small space may give you some difficulties in storing things. 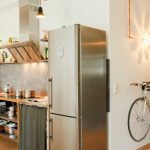 If you want to make a bike storage in your apartment, you need a small space with smart and efficient bike holder or steel string. You can place the bike storage in any room you want. 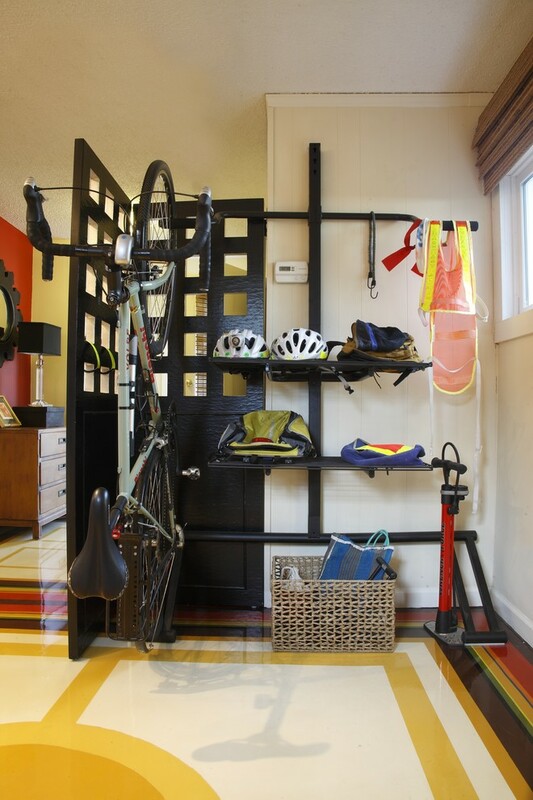 You can place your bike storage near the entryway, kitchen, or living room. 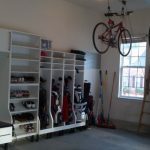 If you want to keep your bike inside your apartment, the following bike storage apartment ideas that may help you. 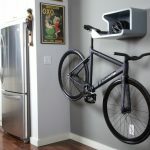 You can have a cool bike storage in your apartment with this Dahanger bike storage. 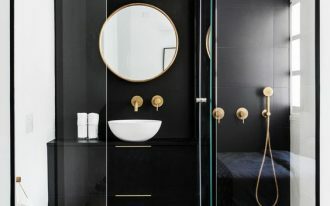 It has a unique design, very convenient, and a helmet shelf. You only need to put the saddle on this bike storage. 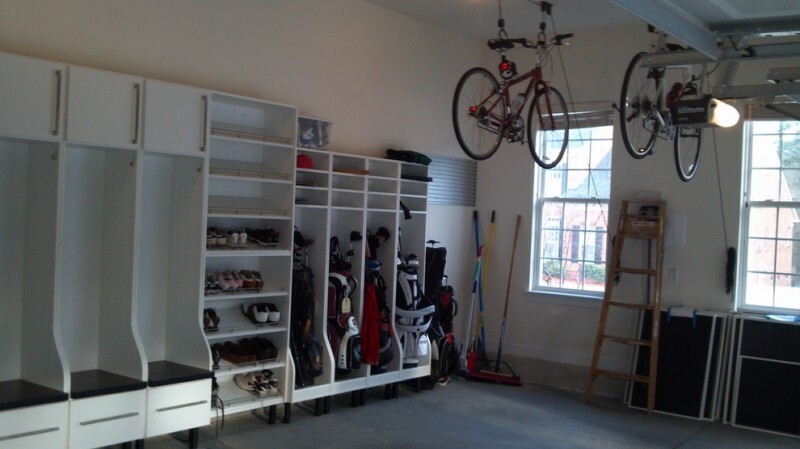 If your apartment provides a spacious garage, you can hang your bikes with sturdy wire. 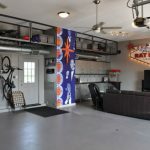 It is a great idea for the garage. 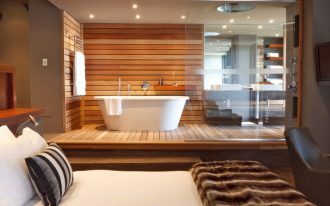 You can also put open shelves and cubbies to keep your belongings. 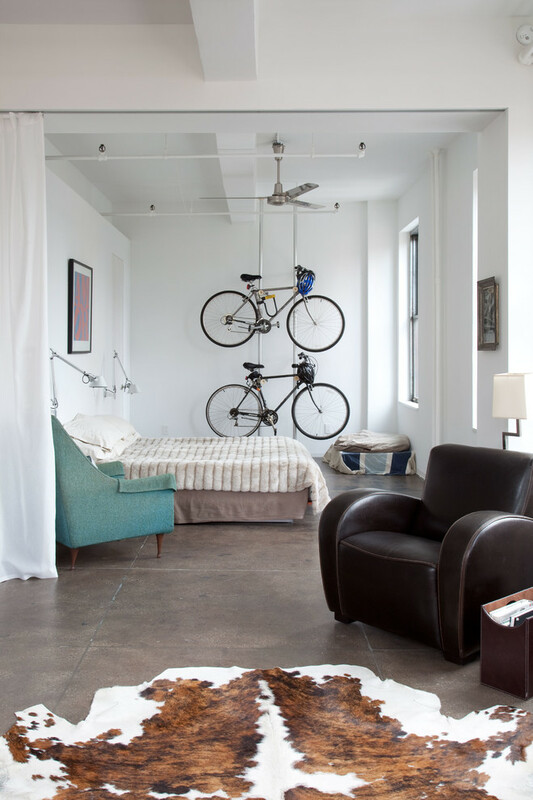 You can plan bike storage in the corner of a room. You can store your bike in vertical position. 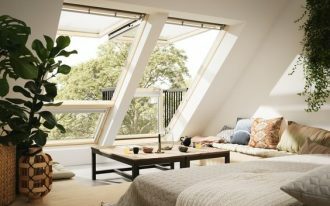 It is great for apartments without outside storage. 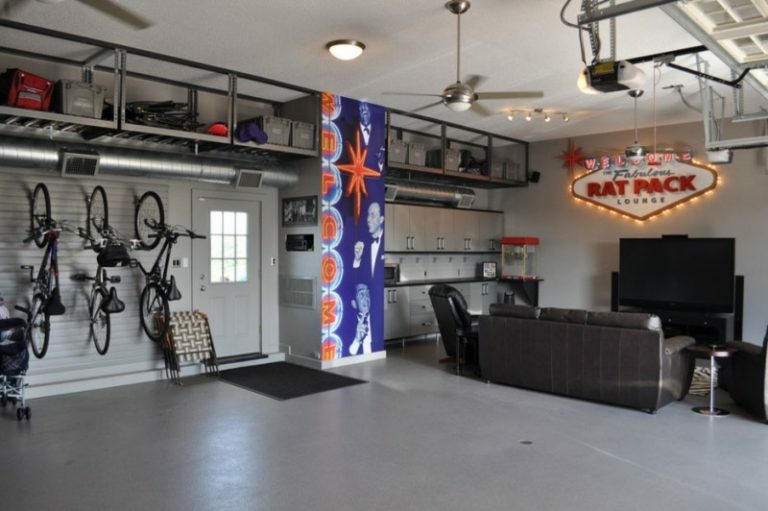 This large contemporary detached studio apartment has wall hung bike rack. You should build the rack neatly. 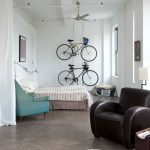 You can hang your bikes against one wall. 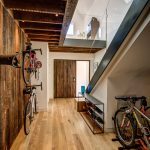 The wood wall will make a rustic feeling for your bike storage. If you have more bikes you may put it under the staircase. 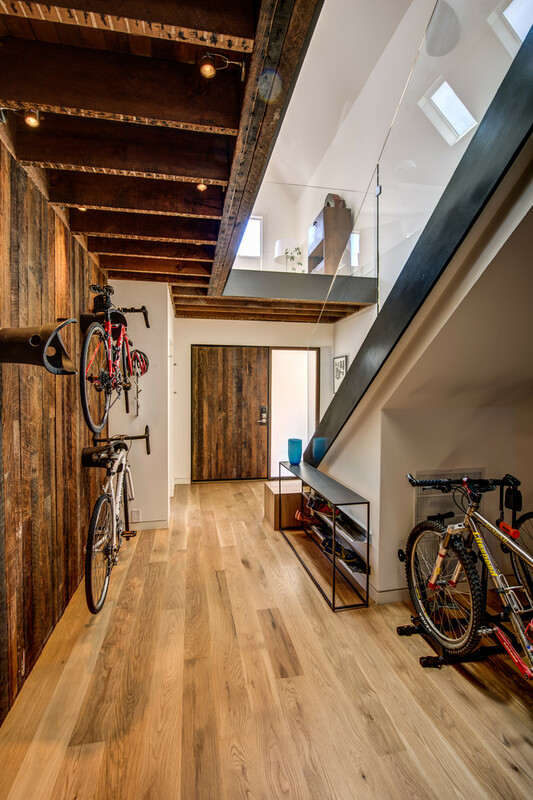 The space under the staircase will give you a convenient bike storage apartment. 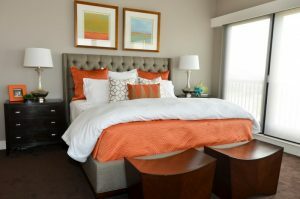 This apartment features a comfy bed, nice Cowhide rug, brown and blue armchairs, Tolomeo led wall lamp, industrial blade indoor ceiling lamp, and tall curtain to separate the rooms. You can use 2 auto poles to hung the bikes. 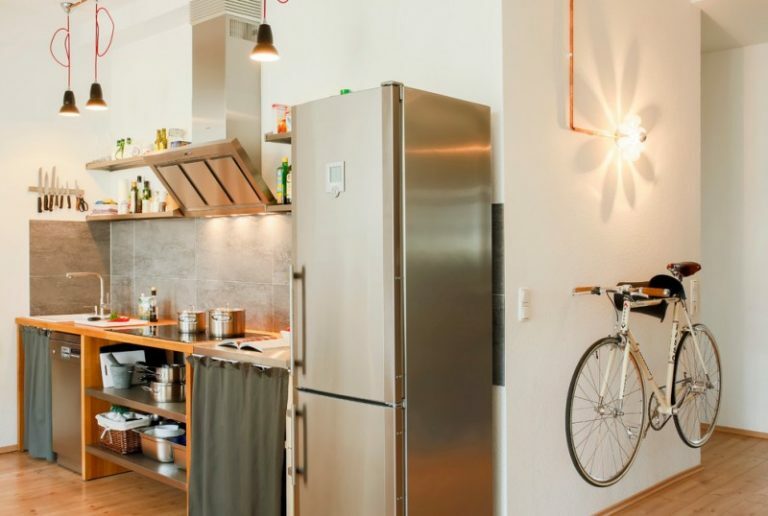 The hung bikes can be as your apartment decoration. 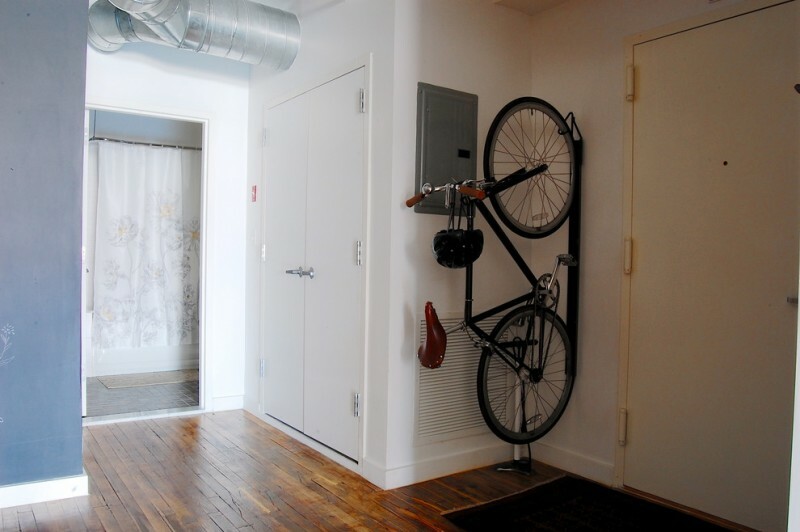 You can have a creative bike storage with art touch in your apartment. 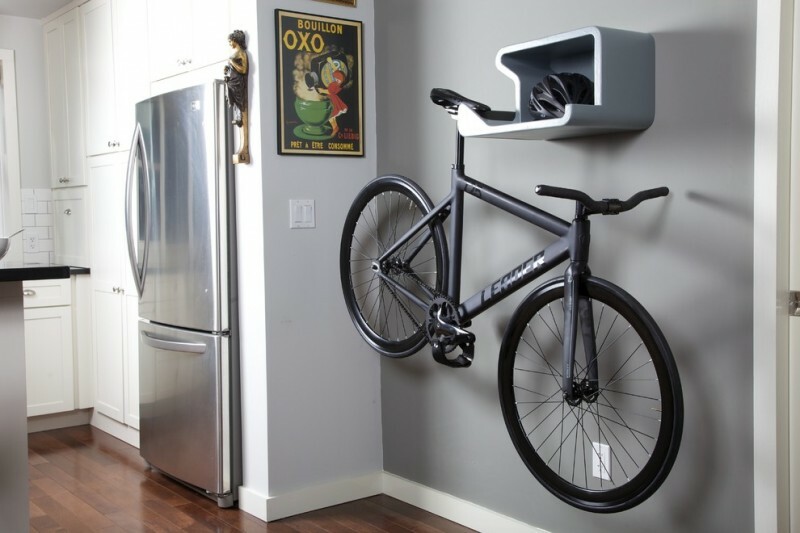 You can hang your colorful bike on the clever bike shelf. 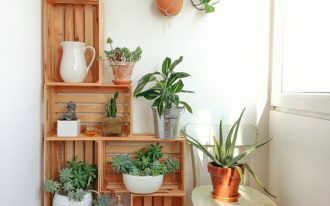 This shelf can be added into your dining area to create fun decoration. 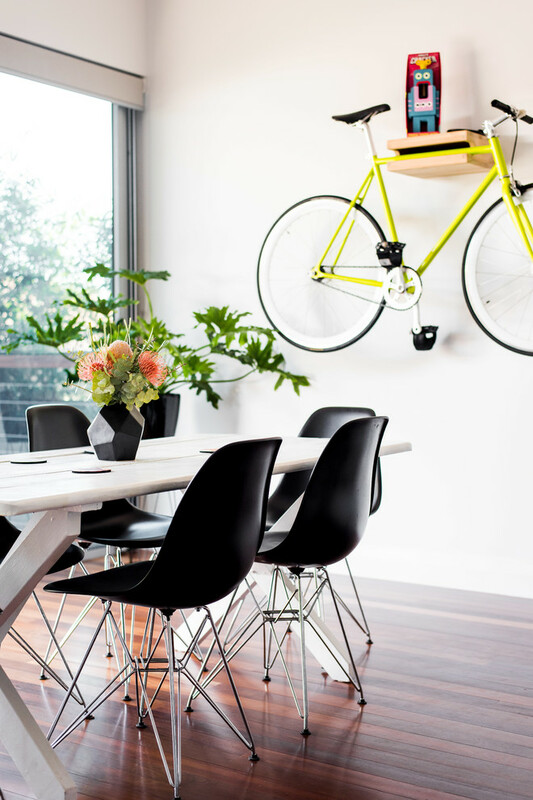 The dining area has a simple table, black chairs with the beautiful base, and flowers decoration. You can add a bike hanger on the wall next to your kitchen. The wall space is really suitable for a medium size bike. 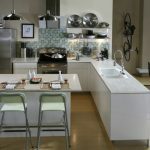 This single wall kitchen has an angled range hood, minimalist wood kitchen cabinet, gray backsplash, nice pendants, and medium tone hardwood floors. 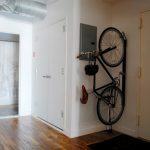 If you have a small empty wall next to the room corner, you can make a bike storage in that wall. 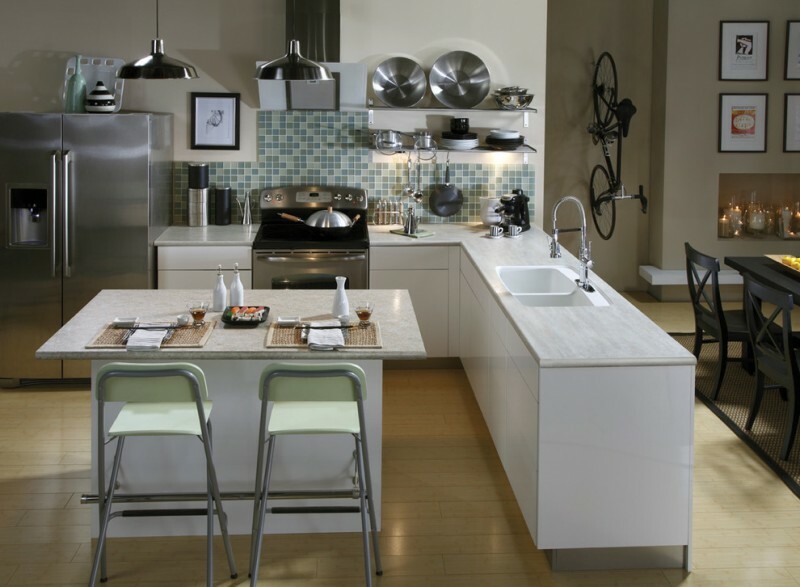 The empty wall is near the white L-shaped kitchen. 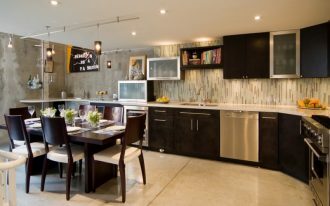 This kitchen is also integrated with the dining room. 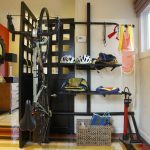 You can make a small bike storage by placing a folding screen near the entryway. 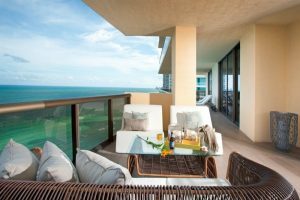 This storage has some shelves and a basket to keep your things.